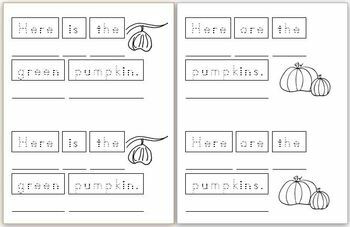 This is an theme/unit based writing activity book that I created for my Pre-K students to work on as a "May Do" activity throughout the week. At end of week, the students are allowed to hang the books up on our "Author/Illustrator Corner" bulletin board. The document is created so that the pages can be copied, cut in half and stapled at the top (yields 2 books per print). 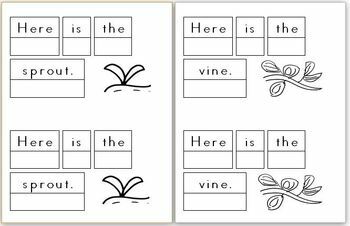 I personally have my students trace over the words in the text and then write them on their own in the boxes below to work on handwriting skills. They then illustrate each page using the backs of the previous page stapled before it (So the illustration would be above the writing portion on each page). 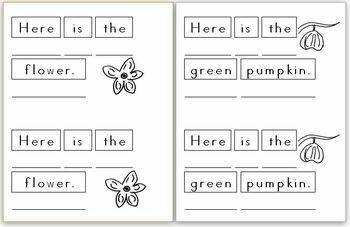 The text includes a repetitive phrase, simple sight words and unit vocabulary words so that the activity builds on skills taught. 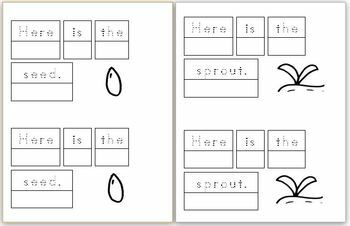 The illustrations included allows this activity to be worked on independently as the students will know what the vocabulary is and reference it to draw their own illustration. Overall, my students have loved these books as it gives them a chance to simply enjoy writing and illustrating. You can choose the version that best fits your students needs! "Here is the green pumpkin."